Filming a wedding for fellow vendors is an honor and a piece of cake. Filming one for the family of the guy who normally shoots for ME…now that’s pressure! Thankfully, Brandon’s brother-in-law Josh and his beautiful bride Brittany had a wedding & reception that was a gorgeous feast for the eyes at Morgan Acres, not to mention so many moments that touched the heart as well. 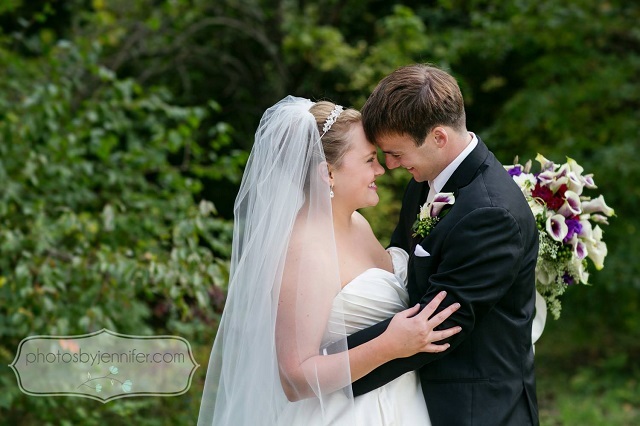 From the emotional gift exchange through the first look, beautiful ceremony outside and joyous celebration inside the barn, their love for each other, God, and loved ones who had passed on was always front and center. It’s been fun getting to know this amazing family over the years, and it’s always a blast working with so many friends like Randy Baughn, Rich Miller, Joel Nowacki and of course Cybil & Brandon! 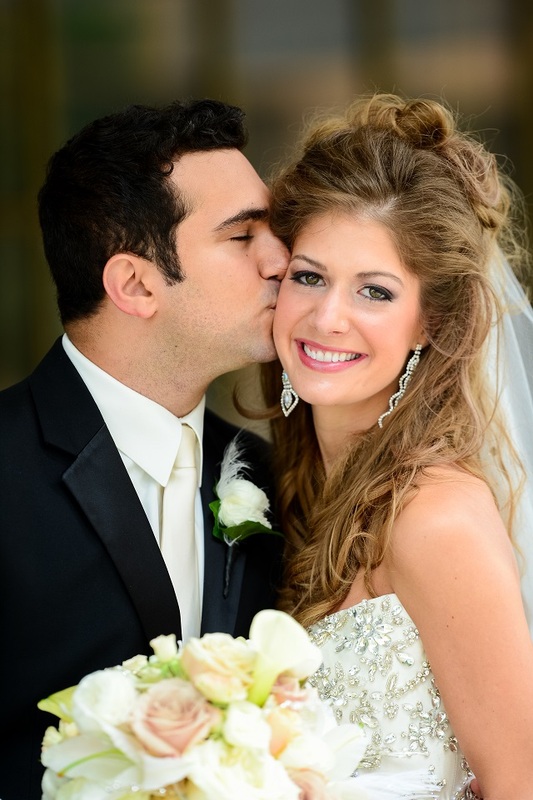 Jennifer & Austin exchanged vows at St. Michael’s Catholic Church in Greenfield, followed by a reception at the Marriott North. 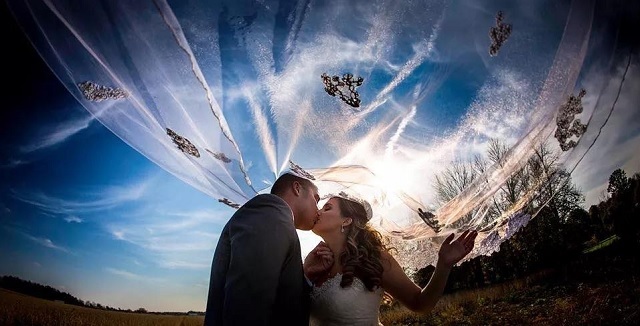 Working alongside photographer Jennifer Driscoll (who referred Jennifer & Austin to us), we covered the beautiful ceremony, crashed a private property with a cool barn for photos, and then captured the memories of their fun reception. My favorite moments were when Jennifer’s brother was incorporated into the festivities via FaceTime while he was serving our country overseas, such as a spot in the family photos and a musical tribute during the reception. I also loved the couple’s Hawaiian wedding leis at the reception, a tribute to Austin’s home state where they have begun an exciting new chapter in their lives together. Mahalo, Jennifer & Austin! Grace & Graham kicked off the fall season in style with a beautiful wedding at the Indiana Landmarks Center and IU homecoming-themed reception at the JW Marriott. Coverage started at the JW with the couple’s preparations (I loved the scrapbook Grace made for her parents) and first look before heading out for some fun photos with Cassie Conforti. Following a gorgeous ceremony at the Landmarks Center, we were greeted back at the JW by an absolutely stunning display of fall-themed floral splendor by The Empty Vase and overall design by planner Monica Richard of Mon Amie Events (who referred this wedding to us). With an IU groom’s cake by Classic Cakes, personalized Pizza Express-style cups, Mother Bear’s late-night pizza snack, and an amazing party band in Rod Tuffcurls and the Bench Press that had the crowd rocking all night, I felt like I was right back on campus during homecoming surrounded by fun and friends. Lauren & Evan’s wedding day at the Lucas Estate was every bit as epic and breathtaking as the venue itself, where I had not worked since filming a wedding and doing other projects for the Hilberts back in the day. Photographer (and former IndyVisual groom) Zach Dobson and I captured Lauren & Evan’s preparations in the pool house and sports complex respectively, while planner Leslie Jones (who referred this wedding to us) and designer Alan Thompson, AIFD worked behind the scenes to get the courtyard ready for the stunning ceremony. The reception rocked courtesy of an amazing setup by Wow Factors/Evans Audio Visual, another fabulous cake creation by Classic Cakes, and awesome live music by the Wendy Reed Band. Brooke & Alex’s wedding and reception at D’Amore Indianapolis was so much fun to film, starting with capturing the preparations alongside Ian Borgerhoff Photography (who along with D’Amore referred this event to us) at the Conrad Indianapolis and a first look in the Kite penthouse suite. The ceremony was short and sweet, accompanied by one of the most breathtaking views in the state. The reception featured amazing decor by Enflora, terrific dinner service by Thomas Caterers, cake by Taylor’s Bakery and live music by the First Impression Band, which had the crowd rocking well into the evening as coordinator Julie Doyle of D&G Signature Events oversaw every last detail of this special day. 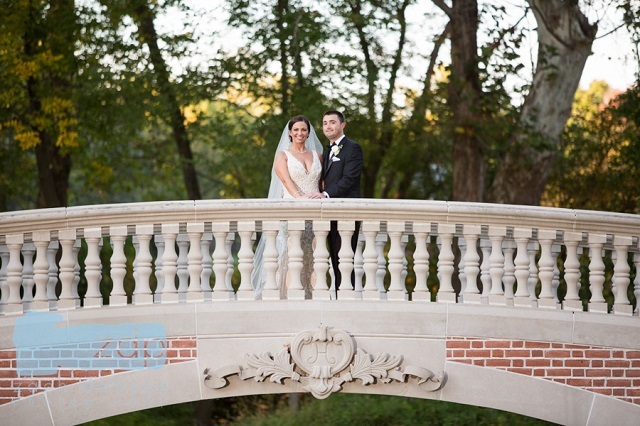 Kelly & Brock enjoyed an elegant wedding ceremony at the beautiful Sacred Heart Catholic Church, followed by an awesome reception at the Scottish Rite Cathedral. 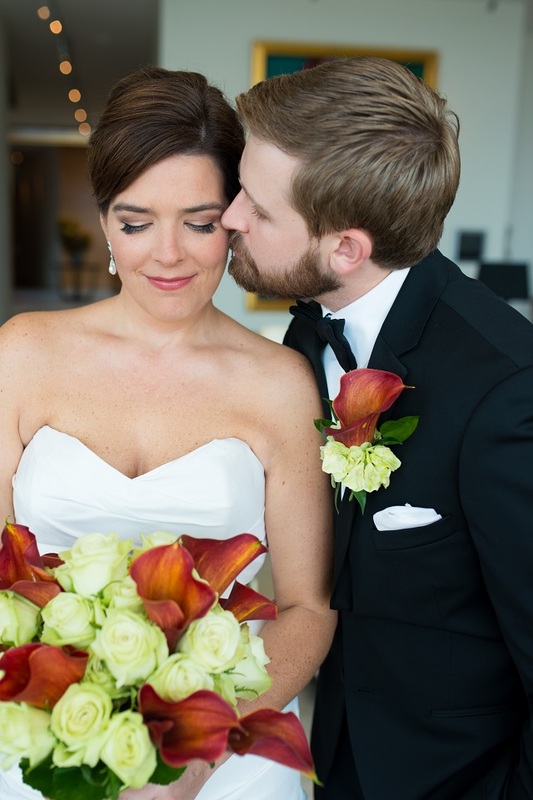 Our coverage began during preparations in Kelly’s spacious bridal suite at the Omni Severin, followed by an emotional first look with Brock by Union Station. After the ceremony, we headed around downtown alongside photographer Anya Albonetti for more shots, highlighted by an impromptu photo bomb and performance by the Purdue Marching Band. The reception decor courtesy of Royal Creations was fantastic, the service by Thomas Caterers was first-class as always, and the cake by Classic Cakes was superb. Live music by The Flying Toasters and an after-party by DJ Lockstar guaranteed a great time by all, and Eventfull Planning (led by Teresa, who referred this wedding to us) was there throughout the whole planning process to ensure an amazing, perfectly executed day. Brooke & Jeff’s wedding day was breathtaking in every way, from the gorgeous ceremony at Broadway United Methodist Church through the stunning reception at the Indiana Roof Ballroom. 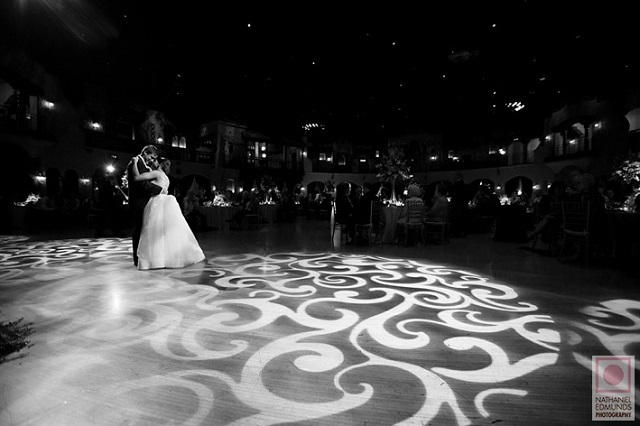 Following preparations at the Conrad Indianapolis, Brooke and Jeff exchanged a first look under the Roof’s marquee before heading to White River State Park for photos with Ian Borgerhoff. The ceremony was lovely and emotional, with Alan Thompson AIFD‘s massive floral arch greeting the guests at one end of the aisle and his towering arrangements providing an elegant backdrop for the altar. The reception decor was simply out of this world, highlighted by a cake collaboration between Alan & Classic Cakes that had to be seen to be believed. With Darcie and the Circle City Planners team overseeing the day, a wonderful time was had by all, especially once Dave and Rae took the stage. No one will soon forget Kourtni & Mike’s wedding weekend at Blueberry Hill Estate in the beautiful rolling hills of Paoli, Indiana. From the rehearsal activities Friday night captured by Brandon through the concluding fireworks Saturday, the magic never let up. The hilltop ceremony was an unforgettable highlight, with Darcie and her team working hard to make it happen ahead of the approaching rain. The reception tent looked magnificent as well, and Jim Cerone was the perfect host to guide the guests through so many unique moments, my favorite of which was the singing of “Sweet Caroline” as a tribute to the memory of loved ones who were missed. Kudos to the rest of the amazing team of vendors for toughing out the extreme heat & driving rain to make this amazing day happen, including Circle City Planners, Ian Borgerhoff Photography (who referred Kourtni & Mike to us), Karen Hall and Company, Westwood Paper Company, Hoaglin Catering, Heavenly Sweets, Wow Factors and Evans Audio Visual. 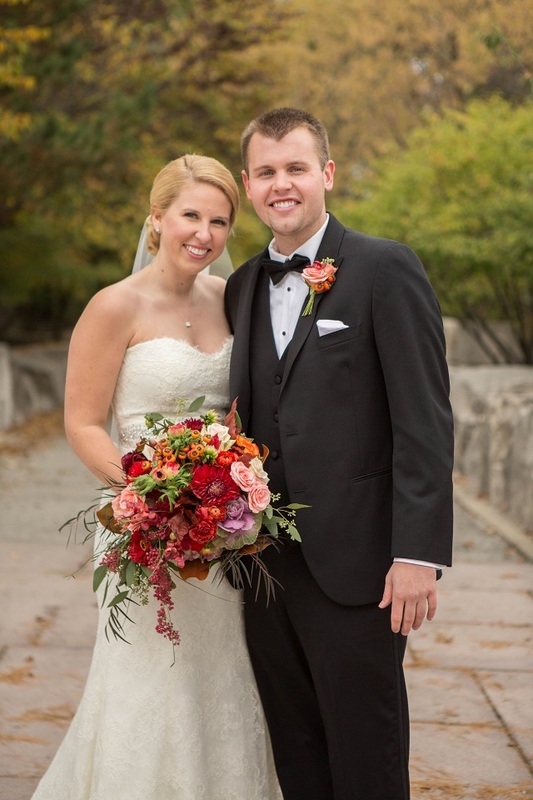 Kelsey & David enjoyed a classically elegant wedding day, from their stunningly decorated ceremony at Second Presbyterian Church through their amazing reception at the Indiana Roof Ballroom. The ceremony was filled with many unique touches, from the children’s choir to the massive wall of floral splendor on the altar by Enflora. The eye candy continued into the reception, where the guests were greeted into the room by a cool guitar groom’s cake by Classic Cakes, foreshadowing the fun that would be had the remainder of the evening courtesy of AMS Entertainment. With Mon Amie Events (who referred Kelsey & David to us) overseeing every last detail and my great friends at Nathaniel Edmunds Photography shooting alongside me, Kelsey & David’s wedding day could not have been any more perfect. 11 years after we filmed the wedding of Marcy’s sister Angie, it was Marcy & Peter’s turn in the spotlight (and on TV) as they got married at St. Roch Catholic Church, followed by a spectacular reception at the Scottish Rite Cathedral. With a camera crew on hand from TLC’s “Something Borrowed, Something New,” the ceremony went perfectly, although photographers bobbi+mike had to save the day when the trolley broke down a few blocks away with the newly married couple on board! The reception ballroom looked magnificent with towering flowers by Dream Weddings and cake by Sweet Seductions, and it was hard not to smile at all the books that were left as “favors” by this education-minded bride on everyone’s plates. Party rock was in the house tonight with Zanna-doo leading the way, and overseeing the whole day to perfection was the wonderful Boldly Chic Events team.